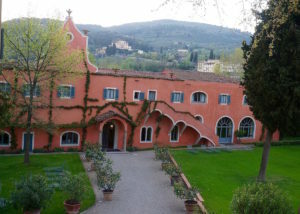 Villa La Massa is a hopelessly romantic property, a sprawling country house in the Chianti hills. The resort spans 22 acres, full of cypress, lemon trees, multi-colored iris blooms and olive groves. Yes, they make their own olive oil, which you can enjoy at the restaurant, Il Verrocchio. The same landscape architect who designed the gardens at Villa La Massa also oversaw the restoration of the Renaissance gardens at Villa Bardini, where you’ll find some of the best views of the city. Inside, there’s a museum honoring Italian fashion designer Roberto Capucci. We were lucky enough to enjoy champagne outside while watching the sunset before dining at La Leggenda dei Frati, a new Michelin-star recipient last year. 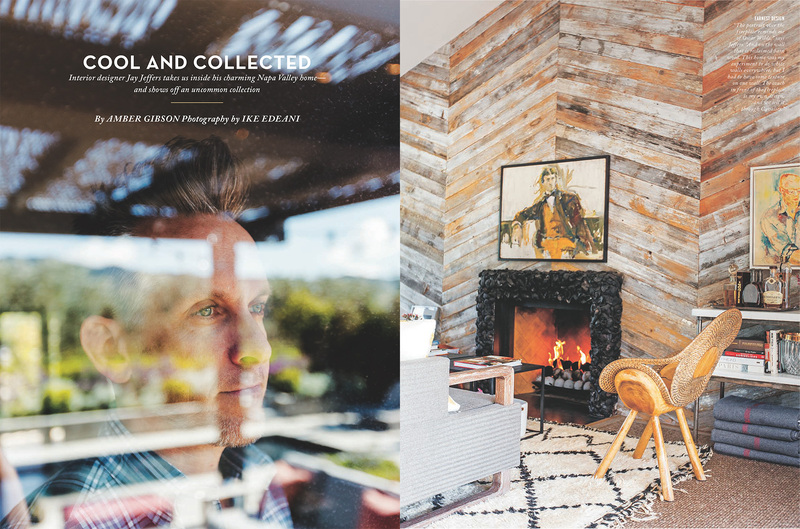 It’s just eight kilometers to the city, a 20-minute drive. But you don’t even need a car. A convenient hotel shuttle regularly brings guests to and from Florence’s historic center. Along with the obvious landmarks like the Ponte Vecchio, Uffizi Gallery, Duomo, Basilica di Santa Croce and Galleria dell’Accademia you should also visit Officina Farmaceutica di Santa Maria Novella. This 600-year old apothecary was the world’s first cosmetics company, founded by Dominican friars at a time when rosewater was thought to cure the plague. The original shop on Via della Scala is now both a museum and retail location for various perfumes, liqueurs, chocolates and skincare products. Santa Maria Novella’s traditional Florentine skincare line is also used at Villa La Massa’s Arno Spa in facials and massages. Arno Spa is just the place to unwind after a long flight. The water in the pools and Roman and Turkish baths comes from a well on property. Afterwards, you can enjoy SMN’s rose liqueur at the hotel bar in a subtle pink twist on the Aperol Spritz. This is a great location if you’re looking to explore the Chianti wine region. I recommend Ruffino’s Poggio Casciano estate, which is open to the public but by appointment only. Ruffino was the first Italian wine exported to the United States and won a gold medal in the 1893 Chicago World’s Columbian Exposition. 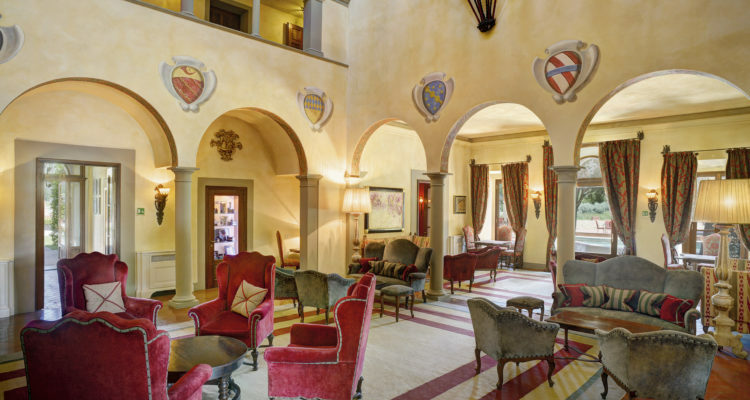 At Poggio Casciano, you’ll get a private tour, history lesson and tasting. Villa La Massa’s room rate includes a sumptuous breakfast buffet – scrambled eggs, cheese, charcuterie, fresh fruit, muesli, yogurt, pastries and sausage. Just what you need to line your stomach before drinking Sangiovese. Opened: 1948, restored in 1998 and then became a member of Leading Hotels of the World in 2005. 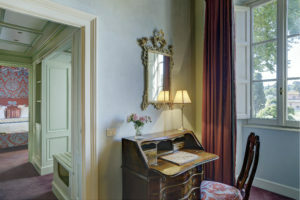 Rooms: 37 rooms, mostly suites and junior suites, including a private villa with seven bedrooms. Unique amenity: The hotel shuttle brings you right to the heart of Florence, running hourly throughout the day. Vibe: Under the Tuscan Sun. 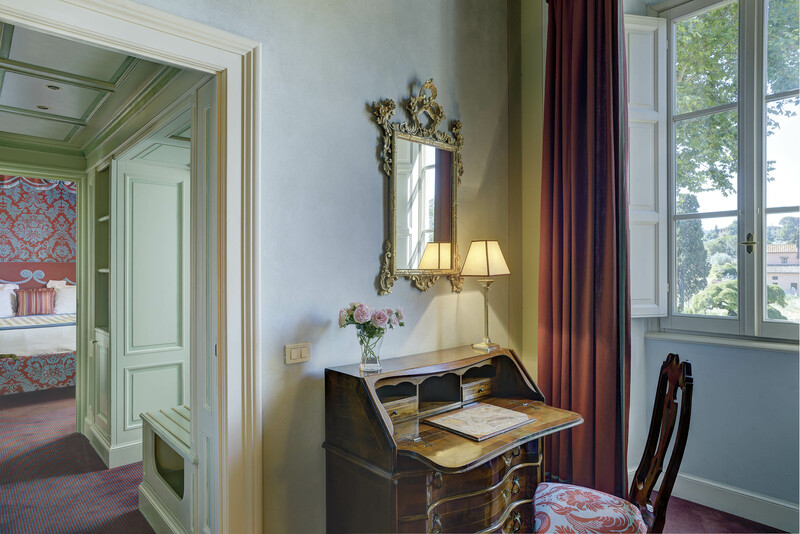 Gorgeous views of the Arno River and chirping birds greet you each morning. Design: Originally built in 1525 as summer residence of an aristocratic Florentine family. Renovations respect the original design of this 16th Century country home, including original architecture, thick tapestries and frescoes. Fun Fact: David Bowie and Iman married here in 1992.